Flour and Vine is a great name for a restaurant, although I don’t really have any idea what it refers to in this case. Rachel and I first ate here a couple years ago just after they opened on South Lamar just shy of the river. Our first meal here was really excellent. I think we had something not too far from what we ordered this time. The food was well balanced, the wines were well chosen, and the people were super friendly. With such a great location, we ate at Flour and Vine a number of times, but after a while we thought that the quality had gone down. Several meals we had there were way over-salted. I’ve said before that balancing salt is probably the most important skill of a great chef. So, we didn’t return for a while. This last week we decided to give this well-placed restaurant one more try before a symphony date night, and we were so happy we did. We got two happy hour small plates and a salad from the main menu, and it was all exceptional. 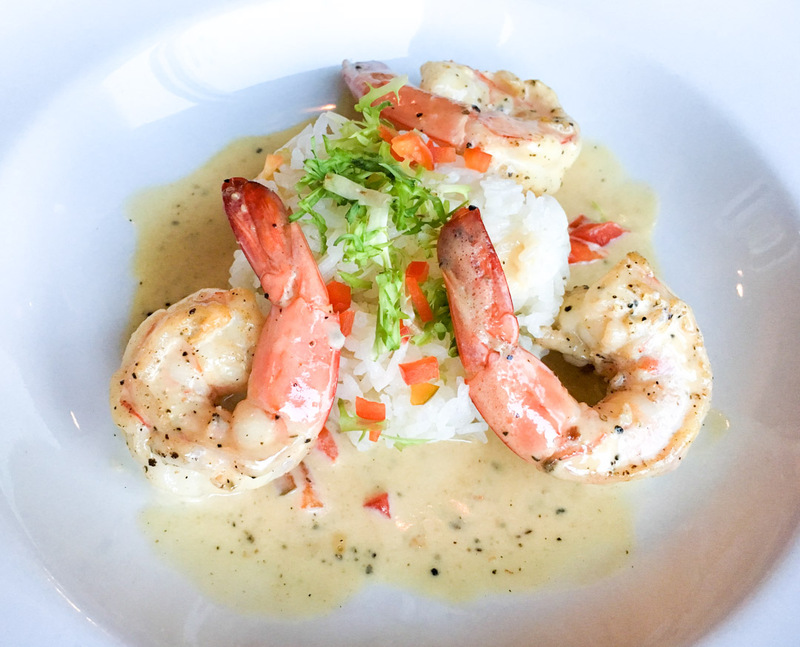 The first dish out was the Sauteed Gulf Shrimp – nothing crazy here – shrimp over rice with a creamy butter sauce, but it was done perfectly. 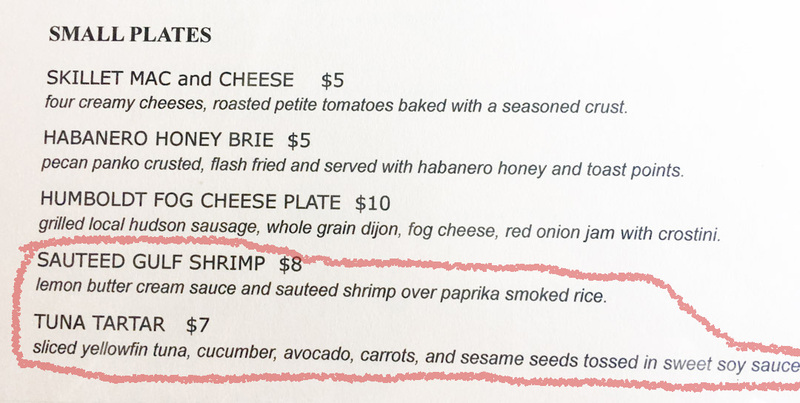 The shrimp was perfect, and the rice was slightly under salted, which balanced the slightly salty sauce perfectly. Just a very well done dish. Next they brought out the Tuna Tartar, which was more like a small sashimi bowl. 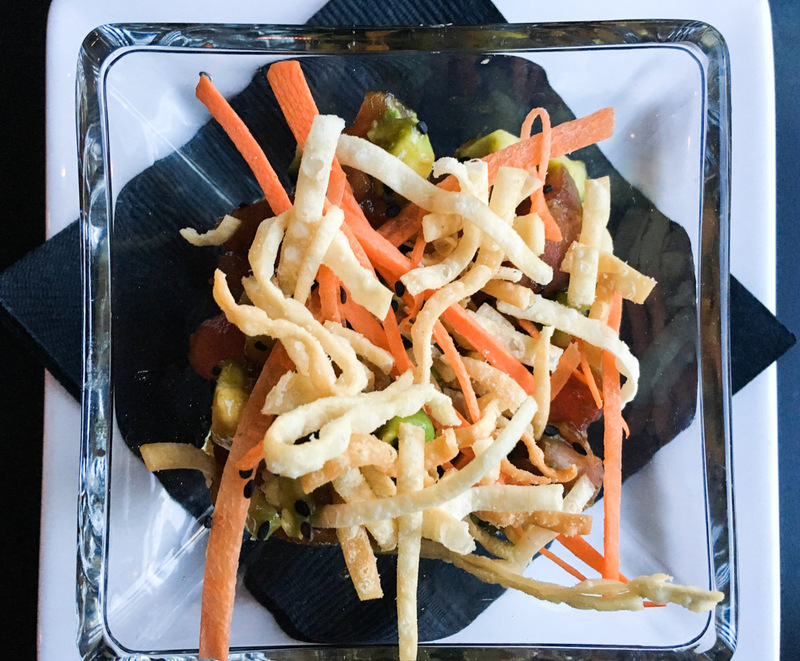 The mix of raw tuna, avocado, cucumber and crispy tortilla strips was perfect with a light teriyaki sauce. It was delicious. The beet salad came out last, which is exactly how we like to eat –French style, with the salad coming at the end of the meal. We both find that is the best way to eat – raw veggies take longer to digest and help move things through your intestine, so it just makes sense to eat them at the end of a meal. 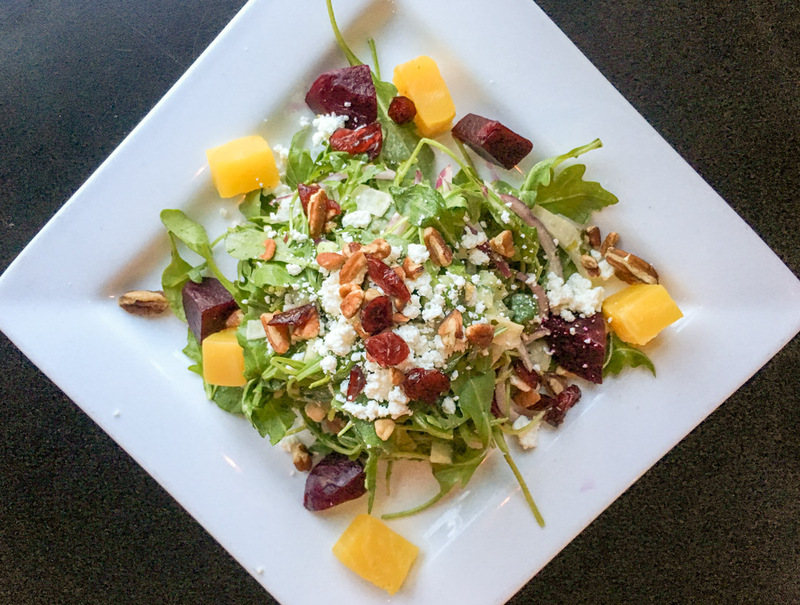 The beet salad was perfect – exactly the right combination of sweet ingredients set off by not too much goat cheese and exactly the right amount of a light balsamic dressing. 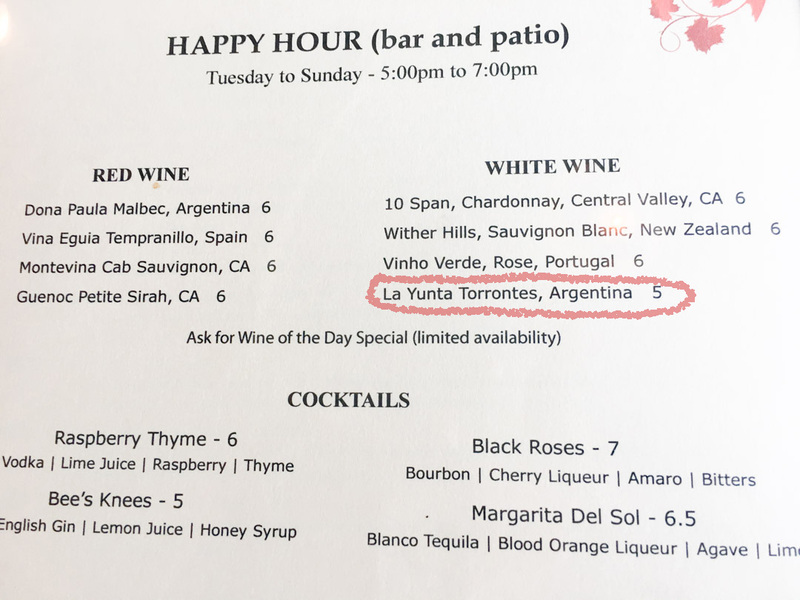 La Yunta Torrontes – a classic Argentinian floral white. 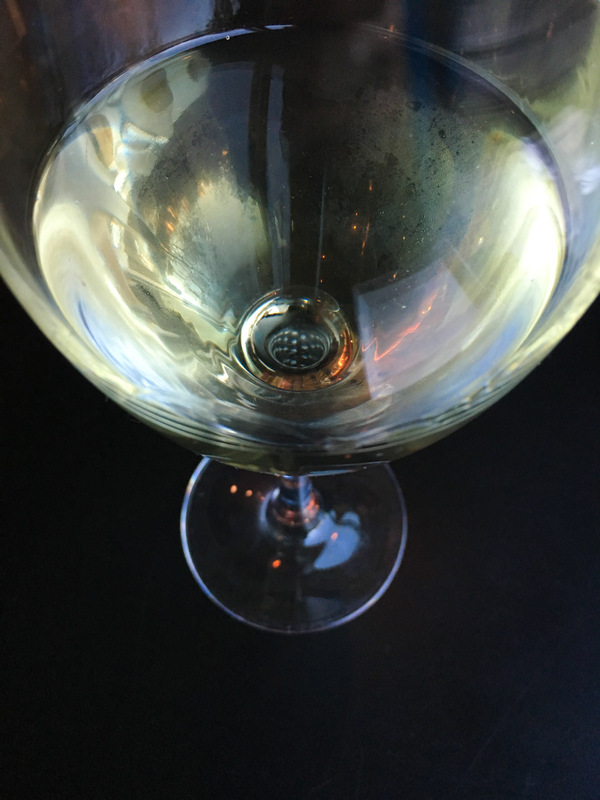 Flour and Vine has a great selection of happy hour wines – one of my important criteria for a good restaurant – attention paid to even the low end wines and deals. Awesome date night! That’s my final word. I’ve elevated this place back into restaurants I’d recommend. The food was excellent – not super fancy like Lenoir or Uchi, but really well done and reasonably priced. 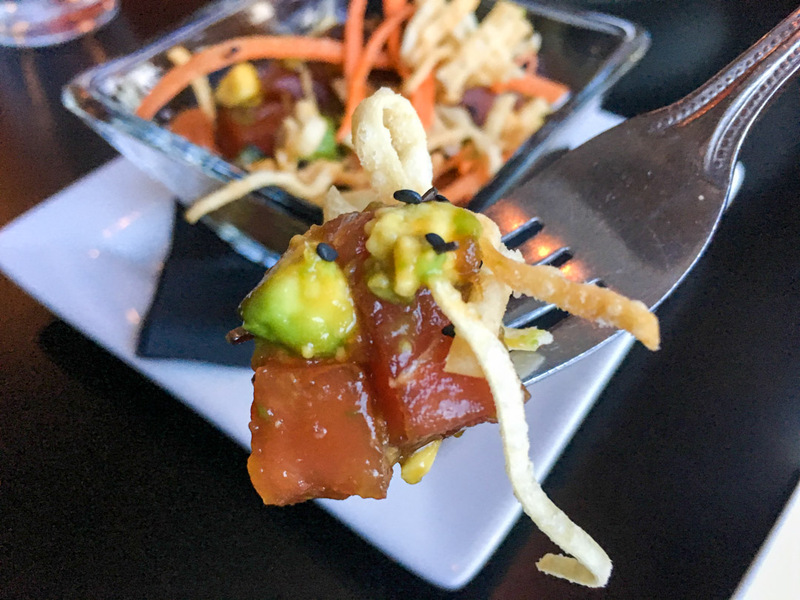 The location is amazing – perfect for a meal before an evening at the Long Center or Zach Scott, chill atmosphere, friendly people, and not too noisy. Oh – and they have a pretty nice outdoor seating area too.